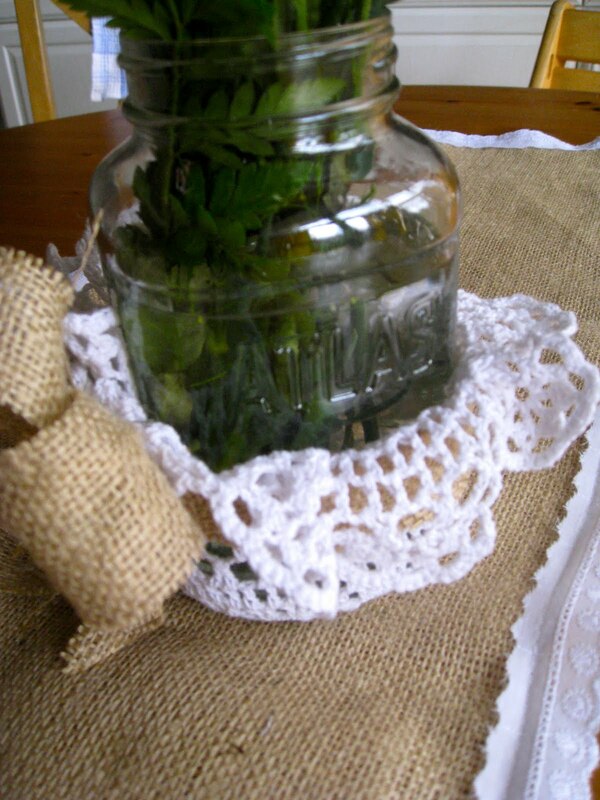 Sweet Floweret: 10 minutes. 5 dollars. Pretty table runner and vase! 10 minutes. 5 dollars. Pretty table runner and vase! 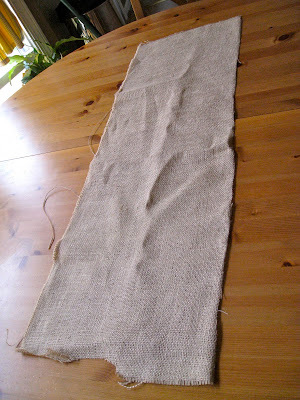 If you read crafty blogs at all, you know the fabric of the century is BURLAP. Egads. 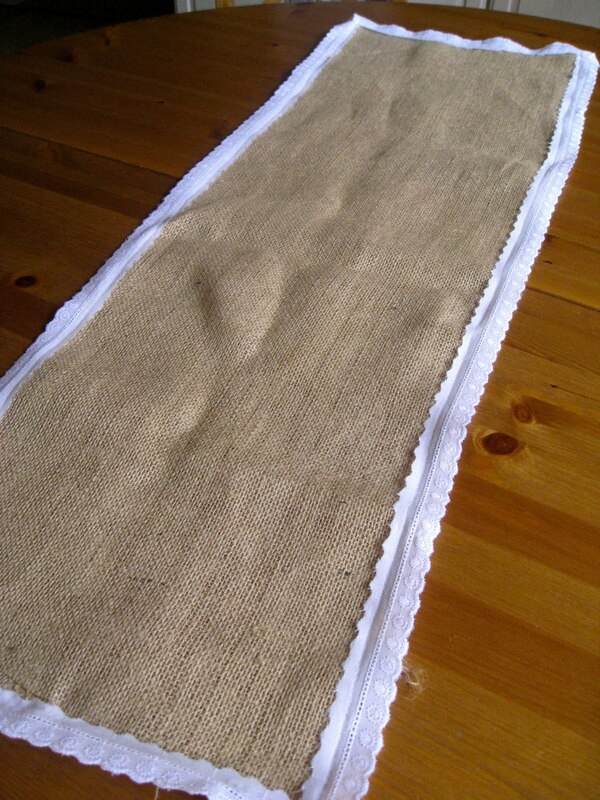 If you type burlap into your search engine you'll find burlap everything. It's itchy, it's rough, it leaves annoying burlap fuzz everywhere and yet.... I fell for it. I bought some as a prop last year for something and nearly threw it away. I dug around and found it this morning. Phew. 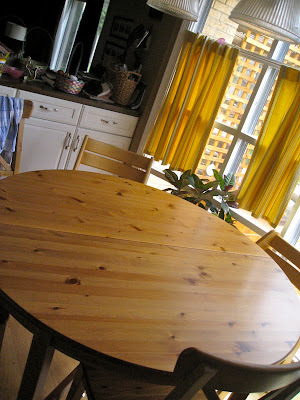 Well, my kitchen table stands naked most of the day. Unless there are plates and crumbs on it that is. PS. You'll have to forgive the pictures. We haven't had sunlight in a mighty long time so cloudy light is all I have to work with! I wanted a runner of sorts and have been searching for eons to find one that I liked. Inspired by other ideas I've seen online, I decided to try burlap. 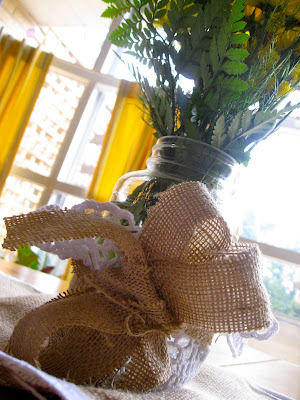 Burlap you say? YES. But you already knew that because I've said it like 6 times already... I went to my bff's (Hobby Lobby. Don't tell Jo-Ann) and found some cute and inexpensive white trim. The piece of burlap i used was 3x1 so I needed 3 yards of trim (see how sewing helps you with math skills?). It took me 5 minutes to sew it around the edge (keep in mind, I'm a lazy sewer. I don't like to pin and didn't in this case!). I then found a mason jar that I kept which had housed store bought spaghetti sauce. 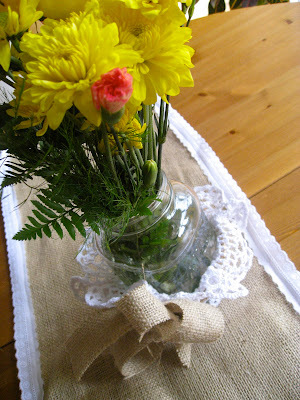 I put a doily I bought at Michael's for a dollar over the bottom and tied it on with a 2 inch wide strip of burlap. I stuck in some flowers, and VOILA. New table in minutes. I'm happy. Projects can't take long for me. I have too much going on. That's why I'm not sure I'll be able to make a quilt until the cows come home. I usually post easy tutorials that cost little and take little time! 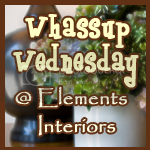 Check back often for more fun, easy and inexpensive tutorials and ideas! 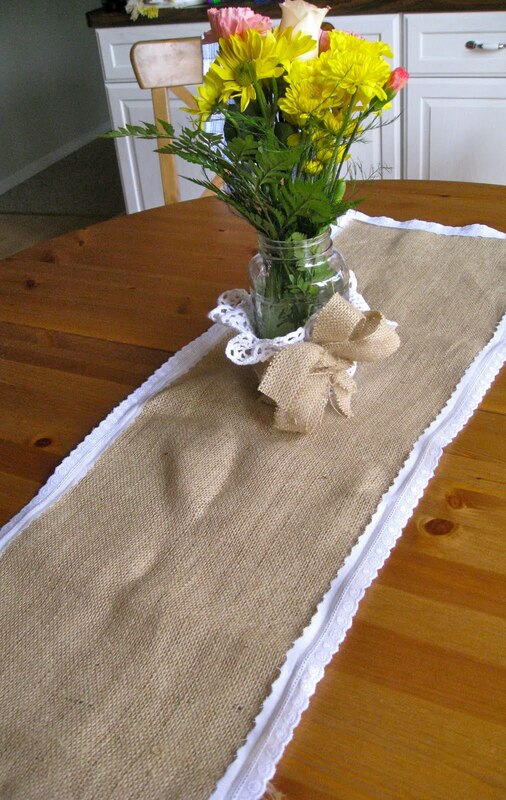 Love the lace on the burlap runner. Good Job! Your newest follower. Hope you can visit me sometime soon. Thanks, Tammy! Thanks for following! A runner and flowers....WOW! I know you did this all for me! Looks just as good in person. You are by far my most inspirational friend! Love my new necklace! Thank you! Thank you! Thank you! It was great seeing you today!